Do you know what function CTRL-SHIFT-Alt-E performs in Photoshop? If a new Kickstarter project pans out, you probably won’t care. Situated just a few miles away from Dracula’s famous castle in Transylvania, Sorin Neica has created the “Keyboard-S,” a massive, 319-key keyboard the size of a placemat. Neica says that 372 of the most common tools, filters and functions have been hardwired into 299 of the keys. 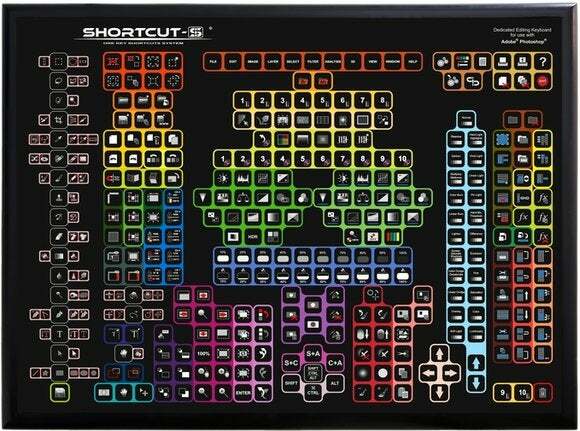 In addition, there are 20 customizable keys. The Keyboard-S is designed to save time by providing quick, easy access to keyboard shortcuts. Neica and his team need to raise $185,280 for the first iteration of the keyboard, a wired USB version. Stretch goals of $350,000 and $550,000 call for the designers to order up wireless and a “Mac design” aluminum finish. With 52 days to go, 28 backers have raised just $2,565, however. The Keyboard-S measures 15.86 in. x 12.04 in. by 0.31 in., about the width of a normal keyboard, but much taller than the 4.5 inches of so of a normal USB keyboard. Neica hasn’t released details of the bumps or switches inside the keyboard, although the 8-mm thickness probably implies something relatively inexpensive, rather than the mechanical keyboards we profiled last month. They’re made in China, Neica says. The very first backers to sign on to to use the Keyboard-S will pay $89, according to the Kickstarter listing, while later signups will pay somewhat more. Sorin Neica will also tack on $28 for shipping. 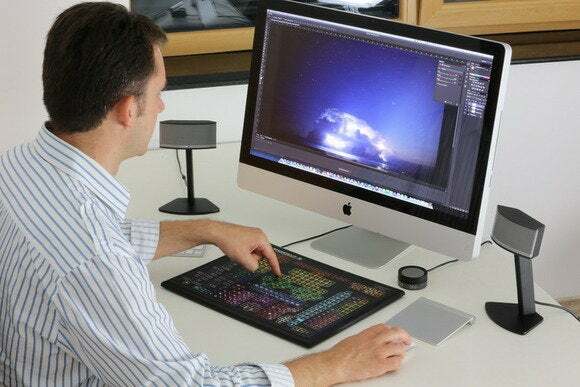 We’re all in favor of keyboards designed to improve productivity, but we’re not quite sure this is going to save any time versus a habitual Photoshop user who has memorized the appropriate key touches. Graphics professional, weigh in—what do you think?